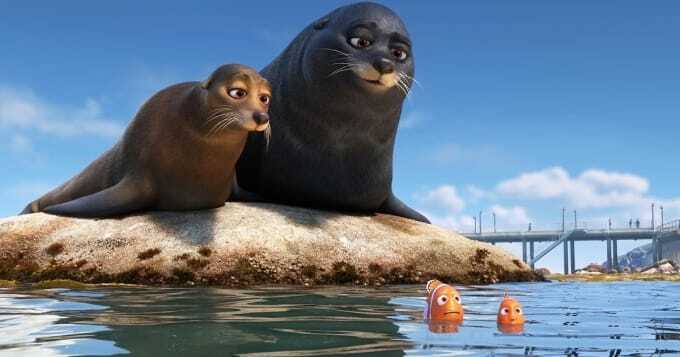 The Finding Nemo sequel Finding Dory is in cinemas right now. It’s top level Pixar, full of great jokes and heartwarming moments, as you’d probably expect, and it is definitely worth going to see (especially if you have to deal with a younger relatives to deal with during the summer holidays). What you probably wouldn’t expect to be in it though is for it be a secret The Wire reunion. Yeah, really. Both Idris Elba — aka Stringer Bell — and Dominic West — who played Detective Jimmy McNulty — are amongst the voice cast, and have all their scenes together. The play a comedy duo of English sea lions called Fluke and Rudder who live at the aquarium, and who help out Marlin and Nemo. Their main joke is keeping another sea lion off their precious rock, and they are generally hilarious. Sadly, there didn’t seem to be any direct nods to The Wire in it, or at least none that I spotted. Still, it’s pretty nice to see Stringer and McNulty back on screen together.